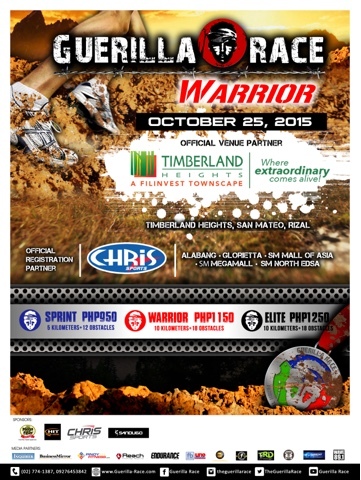 All is set for the second leg of the most challenging obstacle run in the country, the Guerilla Race Warrior. 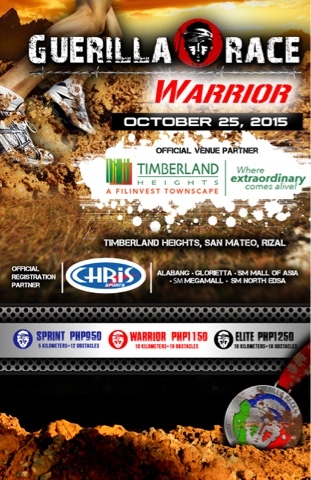 The event will be on October 25, 2015 at the Timberland Heights, San Mateo, Rizal. Inline with this, the official running event poster of the said exciting race is released. The posters also revealed the registration site which is the Chris Sports and the race categories with the corresponding race prices. We will share more details about this race on my next posts.